Antonio Poli Don Giovanni " Il mio tesoro intanto"
Born in Viterbo he studied in Rome with Romualdo Savastano, with whom he is still working. Highlights of the past few seasons include Tamino at Teatro La Fenice in Venice and in Bari; Alfredo at the New National Theatre in Tokyo conducted by Yves Abel, at the Teatro Filarmonico in Verona and at the Teatro La Fenice in Venice; Nemorino in Ascoli and Fano, in Rome conducted by Donato Renzetti, at the Teatro Real in Madrid, at Staatsoper Berlin, in Bologna and in Graz; Fenton in Falstaff at Bayerische Staatsoper in Munich, under Daniel Harding at Milan‘s Teatro alla Scala and with la Scala on tour in Tokyo, as well as under Mark Elder at Glyndebourne Festival; Don Ottavio in Don Giovanni at Chicago Lyric Opera conducted by Sir Andrew Davis, at the Royal Opera House Covent Garden in London conducted by Nicola Luisotti, in Venice, Hamburg and Graz; Cassio in Otello under Bertrand de Billy at Chicago Lyric Opera and under Antonio Pappano at Royal Opera House Covent Garden; Conte in Mercadante‘s I Due Figaro under Muti at Salzburg Whitsun Festival, at Ravenna Festival and at the Teatro Real in Madrid; Concert performances of Stravinsky’s Rossignol and Tchaikovsky’s Iolanta under Ivor Bolton at Salzburg Festival; as well as Ismaele in Nabucco under Riccardo Muti in Rome and with Rome Opera in Tokyo, Macduff in Macbeth under Muti in Rome and at Salzburg Festival. As a concert singer he was heard with Berlioz’ Messe Solenelle de Sainte Cécile under Bertrand de Billy at Vienna Musikverein, with Schubert’s Mass in A-flat major under Muti in Chicago, with Rossini’s Stabat Mater under Rolf Beck at the Schleswig-Holstein-Music-Festival and at the Rheingau Music Festival, and under Jesus Lopez Cobos at the Vatican and in Orvieto, with Mozart’s Requiem in Rome under Antonio Pappano, with Penderecki‘s Polish Requiem in Hamburg conducted by the composer. He also gave his concert debut in Chicago with Bach‘s Magnificat. Antonio Poli sang more concerts in Tokyo, Toronto, Parma, Piacenza, Venice, Palermo, Zurich and Berlin. At the prestigious Lucerne Festival he gave his debut as a song recitalist in 2012 and London’s Wigmore Hall in 2014. Recent engagements include: Fenton in Falstaff in Naples; Rinuccio in Gianni Schicchi and Alfredo in La Traviata in Rome. 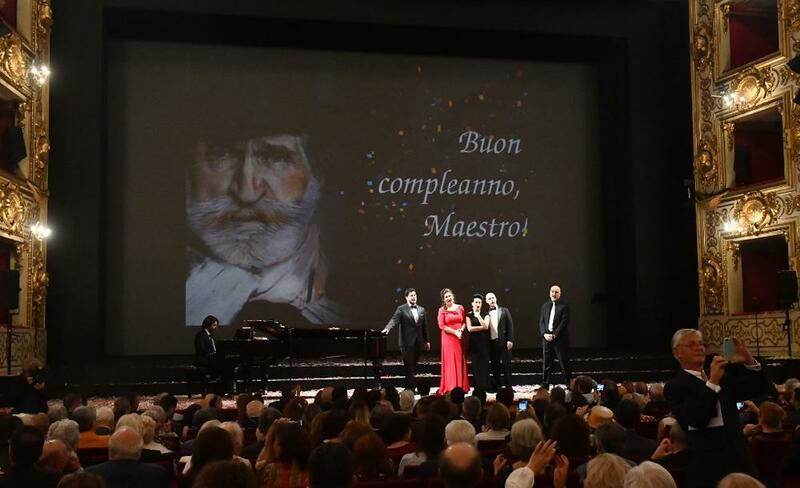 Further plans: : Alfredo in La Traviata in Tokyo and Palermo; Don Ottavio in Don Giovanni and Alfredo in La Traviata at the Staatsoper Berlin; Otello (Cassio) in Dresden; Great Mass in C Minor with the Orquesta Nacionales de Espana in Madrid; La Traviata at Teatro Massimo in Palermo and at the New National Theatre in Tokyo. He will make his debut as Edgardo in Donizetti’s Lucia di Lammermoor in Leipzig, as Ferrando in Mozart’s Così fan tutte in Rome and Chicago; Die Zauberflöte (Tamino) at Teatro Regio in Turin. Antonio Poli has recorded Mercadante’s I due Figaro and Verdi’s Macbeth conducted by Riccardo Muti.